Recorded! 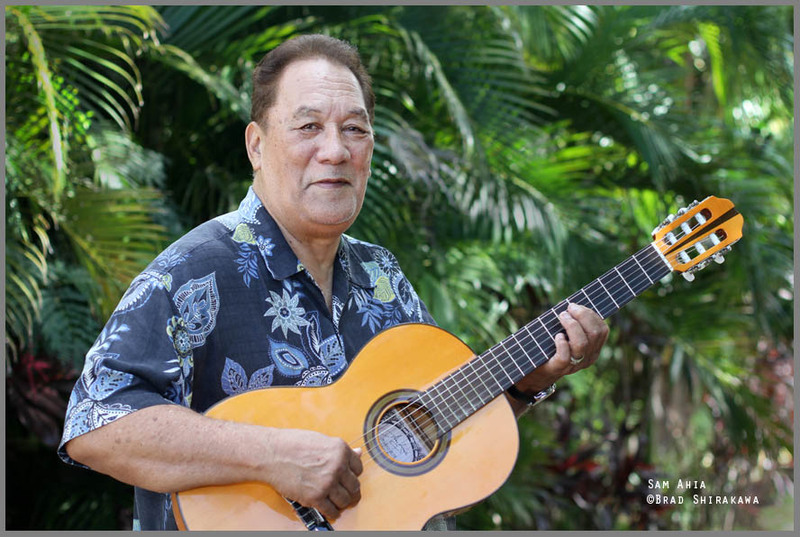 Jazz Guitarist Sam Ahia in Maui | Brad's All Vinyl Finds! No, I’d never heard of Sam, either. He’s one of those gems, hiding on an island in the Pacific Ocean. Maui (Hawaii), to be specific. You might think of the local musicians as tourist attractions, but there are plenty of great performers there and Sam is one of them. Great friend and fellow guitarist Damon Parrillo recommended Sam. 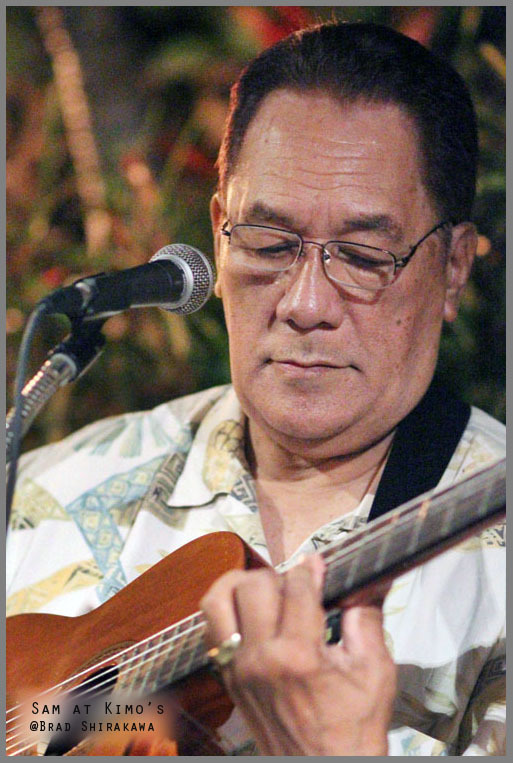 I heard him a year ago in a crowded, noisy but nice restaurant called Kimo’s in the city of Lahaina. Even over the sound of clinking glasses and conversation, Sam’s jazz guitar work came through. His vocals, did not, however. Couldn’t really hear him sing. This year (2017) I was fortunate that Sam invited me to his place and we recorded several solo guitar tunes in his garage. I set up my Tascam DR40 and used his two Shure SM58 mics, to supplement the XY mics built into the DR40, for four tracks. Sam’s a pro. He went through each tune once and that was it. I got some noise that sounded like tape hiss, but overall, I think you will enjoy his playing. Maybe Sam doesn’t have as strong a voice as he used to, but he puts a lot of emotion into each tune. If you’re looking for Tony Bennett or Ella Fitzgerald, that’s not Sam. He’s more reminiscent of Billie Holiday. Someone who can wring the right drops out of a lyric. A real talent. 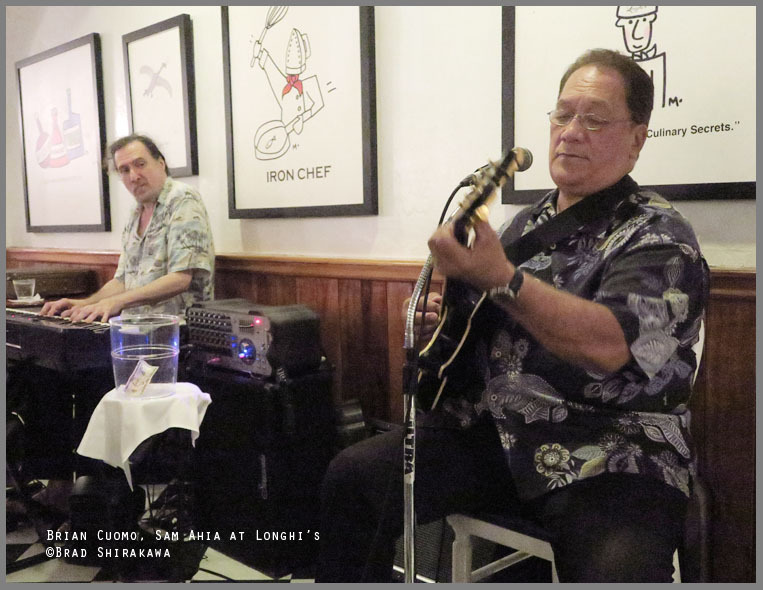 I also heard him live at Longhi’s Italian restaurant on Front Street in Lahaina. He played a Friday night with an extraordinary keyboardist, Brian Cuomo. I didn’t have my best recording gear so you’ll have to forgive the audio. That night, they played straight jazz like you don’t hear much anymore. Lots of standards. The back room at Longhi’s isn’t really set up much for live music. Sam and Brian were set against a back wall. No stage. Once they started playing, I didn’t care. The music brother, the music… and the crowd was appreciative. Sam played in San Francisco back in the 1960s, with some of the great jazzers of the time. But he’s been living on the islands for decades now, forgotten. Next time you’re on Maui, check the local schedules for him. It may not be the quietest place to hear jazz, but it’ll be worth it. “Body and Soul” – Audio FIXED!